The facades can have the extension of the entire building or a part of it to complete the staircase, the high quality entrances, etc. They can be used in any construction guaranteeing swings and movements and making the overall appearance especially admirable. A.B. System is pleased to have a catalogue containing its own structural glazing system with outstanding technical performance called Glasswall. Our facade has passed the controls performed in the I.C.I.T.E. 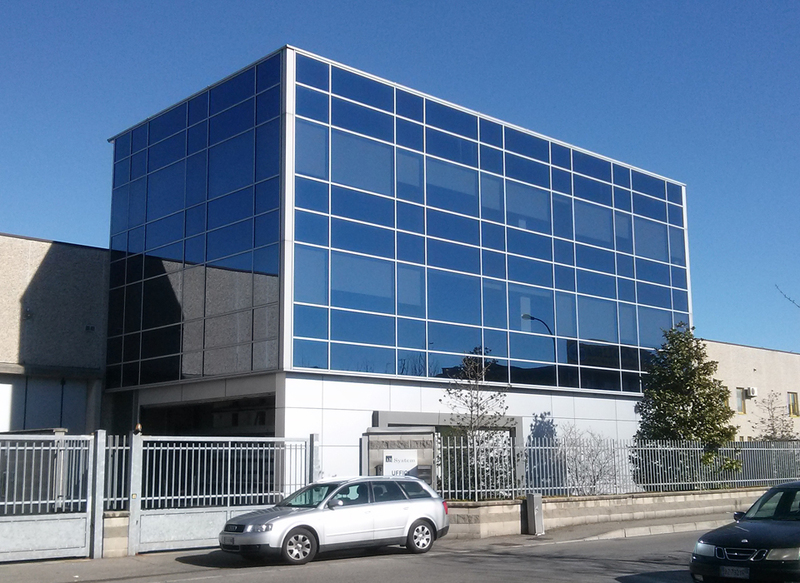 laboratories and is admired on the most important construction sites. Our facades are either curved or linear, coupled with masonry panelling or entirely composed of glazed elements. 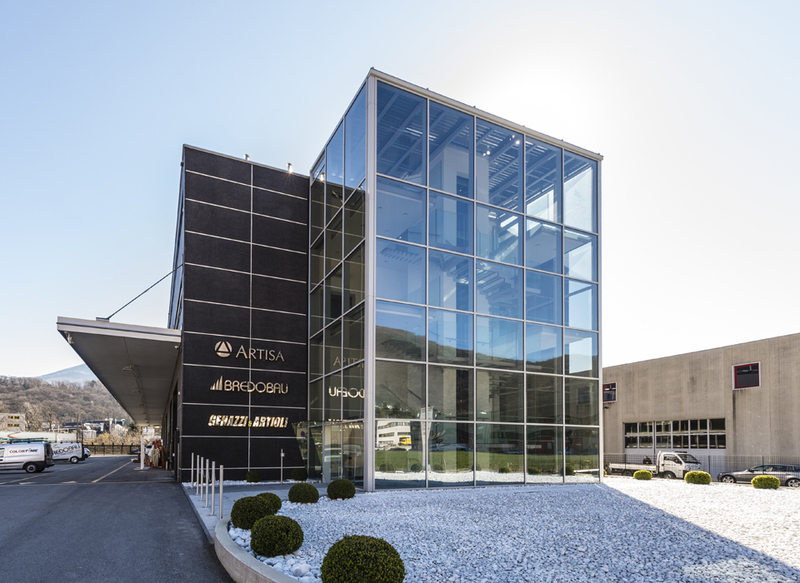 We design, manufacture and install curtain walls or aluminium structures, with a wide range of solutions, from both a functional and aesthetic point of view. 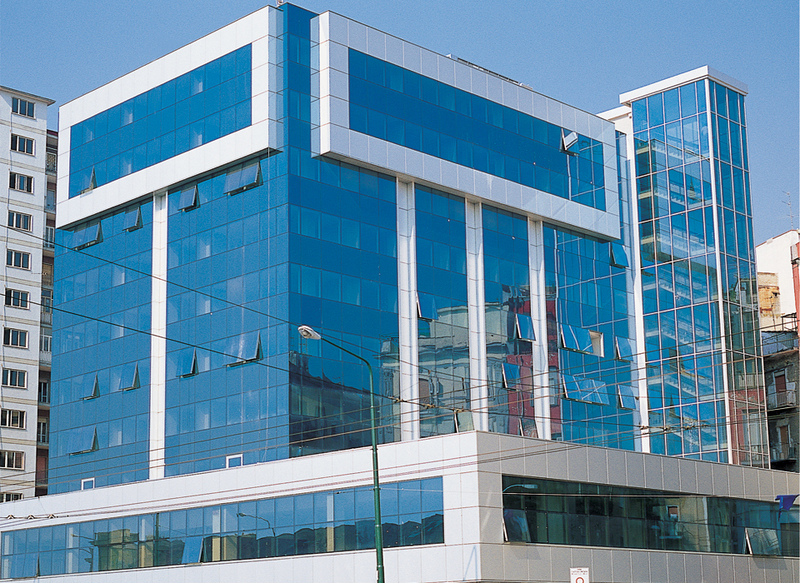 Thanks to innovation and technical development, we can create structural curtain walls intended to externally cover buildings with quality and safety features, which are able to meet the most demanding technical, aesthetic and architectural requirements. Traditional stick curtain walls. 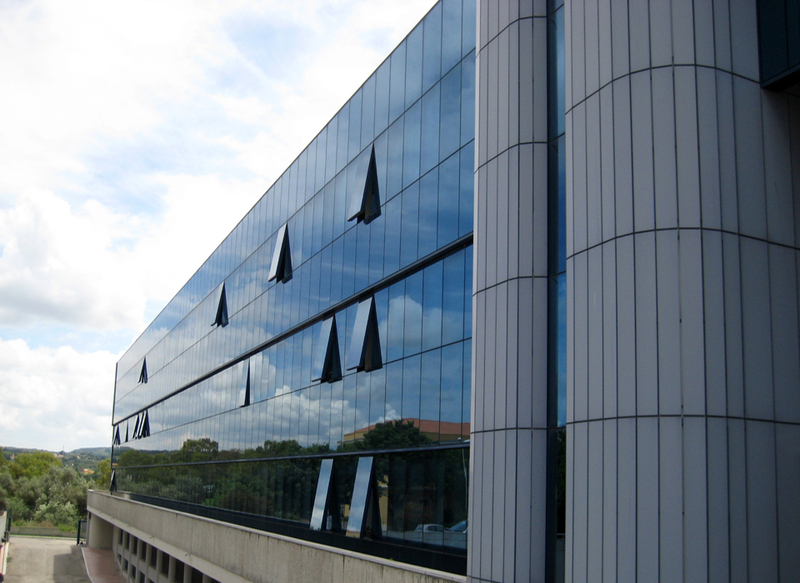 Semi-structural curtain walls with visible glass retaining edge. 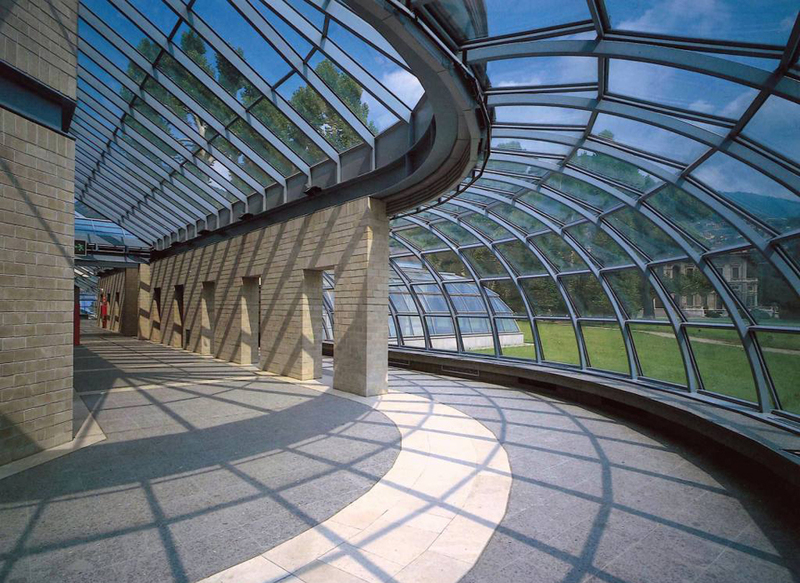 Structural glazing facades without visible metal parts.